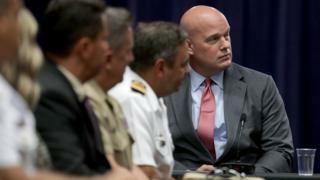 President Donald Trump has defended his new acting attorney general, Matthew Whitaker, as opponents call for his recusal from the Russia investigation. Mr Whitaker was named to replace former attorney general, Jeff Sessions, who was fired by Mr Trump on Wednesday. Controversy arose over Mr Whitaker’s previous comments about ending the probe into alleged Russian meddling in favour of Mr Trump’s election in 2016. 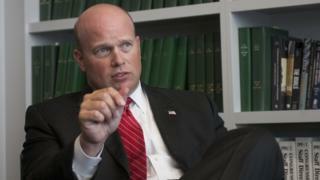 As the top law enforcement official, Mr Whitaker could take over the inquiry. Special Counsel Robert Mueller is investigating alleged collusion between the Trump campaign and Russia on behalf of the Department of Justice.. Currently, Deputy Attorney General Rod Rosenstein is overseeing Mr Mueller’s investigation – a role he took on when Mr Sessions recused himself. Critics have pointed to some of Mr Whitaker’s remarks on CNN last year on curtailing Mr Mueller’s investigation as reason to remove him from any oversight role. Speaking to reporters on Friday, Mr Trump called Mr Whitaker a “very well respected man” whose selection “was greeted with raves”, though he made sure to distance himself from his new appointee. 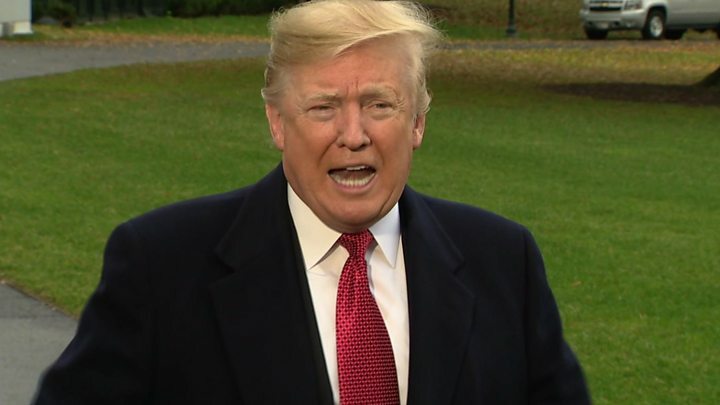 “I don’t know Matt Whitaker,” Mr Trump said while fielding questions of how he might influence the Russia investigation. But the president has probably interacted with Mr Whitaker numerous times, US media pointed out, as he was Jeff Sessions’ chief of staff. Why was Jeff Sessions fired? Earlier this week, before the dust had even begun to settle on the results of the November mid-term elections, long-embattled Mr Sessions released a letter confirming he was out of a job. The 48-year-old former football star has long been seen as destined for a bigger role in the Trump administration, viewed favourably by the president as his viewed favourably by the president as his “eye and ears” in the Department of Justice. He was hired as Sessions chief of staff in October 2017. After a New York Times article reported that Deputy Attorney General Rosenstein had considered wearing a wire to monitor Trump in the early days of his presidency, Mr Whitaker was discussed as Mr Rosenstein’s possible replacement. Mr Rosenstein offered to resign but ultimately kept his job.